In today's quality conscious environment why accept anything less than 100% all-circumference in-process measurement. Takikawa's NEW LDM-700 Series Infinite Axis Laser Scan Micrometer has been designed to ensure that your material measurement standards are maintained the way they should be. The LDM-700 Series can be used to measure true roundness or deformed/irregular shaped in-process material. 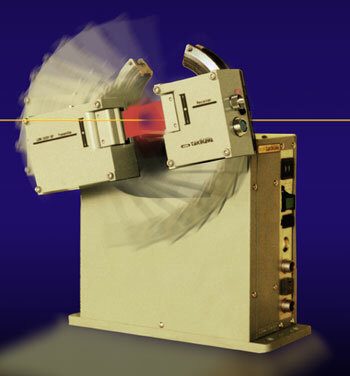 Product Material Diameters from 0.003" to 7.0" can be measured with accuracy's from +/- 0.00006". Use the LDM-700 Series as a standalone system or with our powerful SPC/Data Acquisition Software which allows you to capture measurement readings and also statistically analyze and archive captured measurement data. Whatever your requirements demand, let Takikawa's LDM-700 Series Infinite Axis Measurement System help you achieve your quality control objectives through 100% measurement inspection. Measuring Range 0.003" to 1.181" 0.015" to 3.543" 0.0393" to 7.086"
Accuracy +/- 0.00008" +/- 0.00019" +/- 0.00039"
Repeatability +/- 0.000010" +/- 0.00004" +/- 0.00006"
Dimensions 9" x 10" x 4.5" 9" x 18" x 9" 30" x 32" x 18"